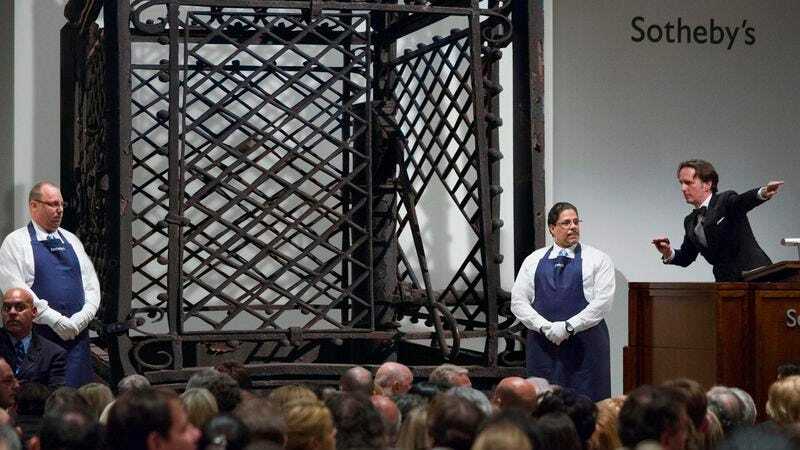 NANTUCKET, MA—Narrowly outbidding dozens of other competitors to take home the rare and precious antique, professional wrestler John Cena reportedly purchased an 18th-century wrought iron cage at auction Monday for $4 million. “When you see the attention to detail on each and every beam, especially in the corners by the ring posts, you realize the remarkable craftsmanship that used to go into welding one of these,” Cena said of the 20-ton collector’s piece while admiring the ornate ribbon patterns adorning the cage’s single 12-foot gate that wrestlers of the era once angrily swung open before participating in no-holds-barred matches. “There’s certainly some pitting and slight corrosion near the top where wrestlers would have hung before crashing down for a leg drop, but otherwise it’s in incredible condition for its age. I’ve always loved the look of these hand-forged lantern hooks they used to light up the ring, but they were largely phased out by the1780s, which makes this an exceptionally unique piece indeed.” At press time, Cena was reportedly emitting a thunderous, primal scream after movers accidentally dropped the cage while transporting it into his home.